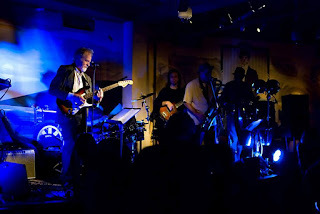 Urban Funk to perform on December 30th 2011 at Clydes of Chevy Chase. Featuring the scintillating saxophone of Wayne Sulc and the heart felt vocals of Tommy Lepson, Urban Funk brings the classic hits of the 70’s to the stage. Featuring the rhythm masters that drove a decade and beyond including James Brown, WAR, Stevie Wonder, Marvin Gaye and more. Backed up by a strong sectional led by Steve Long on Keys, Tim Cutrona on Conga’s, Mike Davis on Bass, and Gary Crockett on Drums. One look around the room and you will see an audience engaged and bobbing their heads if they are not already on the dance floor. Clyde’s offer’s “no cover”, validated parking, and the best in food and libations. Clyde’s Race Bar is a unique setting of vintage automobiles, motorcycles and historical prints echoing the glory days of motoring. Located at 5441 Wisconsin Avenue , Chevy Chase Maryland, the show begins at 9:30PM and continues until 1:30 AM.